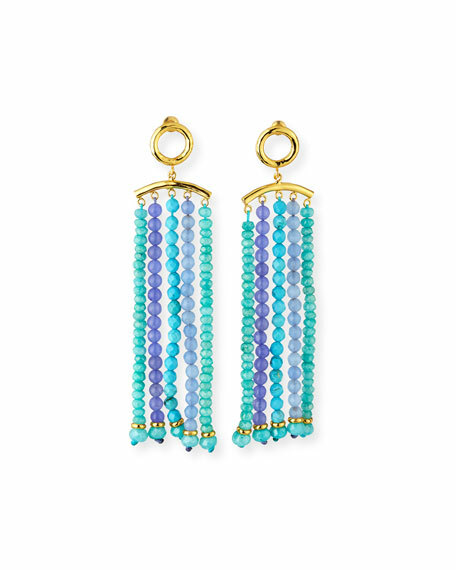 NEST Jewelry stone tassel drop earrings. 22-karat yellow gold plated hardware. Circular posts with tassel drops.